After a far too long hiatus The Right Time with Bomani Jones returns as a podcast that will post a couple of times a week according to the host. Bomani is a wickedly smart guy whose life experiences and cultural background could not be more different than my own and while his take may be one you’ve heard I suspect the path he guides you to that point will be different than other voices on ESPN. Surprisingly Bomani didn’t mention his upcoming ESPN TV show with Pablo Torre, offer any updates on the status of that project or discuss his three-month hiatus. Instead, he jumped right into the sports news, talking about the win by Villanova and had a bit of fun talking about the game’s star player whom he dubbed #whitedonte. 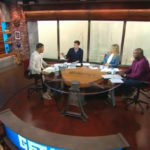 Bomani shoved aside the developing controversy over the Twitter comments by the star, saying “I’m not getting mad at you for what you said at 14” And I have to agree that it is troubling pattern that as soon as someone gets a bit of spotlight people dig through their Twitter history seemingly in an effort to destroy them. Along with his show producer, Gabe, they went on to discuss how good life can be right now for Donte walking around campus today. But it was Bomani’s rants on self-driving cars and self-checkout that found me nodding my head in full agreement. These were found in a segment “If You Haven’t Heard”, three non-sports articles that were introduced by the journalists who wrote them. 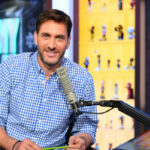 With today’s podcast, I was very happy to see the return of his segment “Why I Quit Football.” Among today’s reports was Neil in El Paso who back in the sixth grade suited up, but after he got hit so hard his facemask got stuck under a chain length fence, he took off the gear and never went back. Neil figures the helmet is still there. Sometimes the stories are like this where kids discover the realities of the physical toll of football while other times it is older men realizing that the clock has expired on their time on the field. 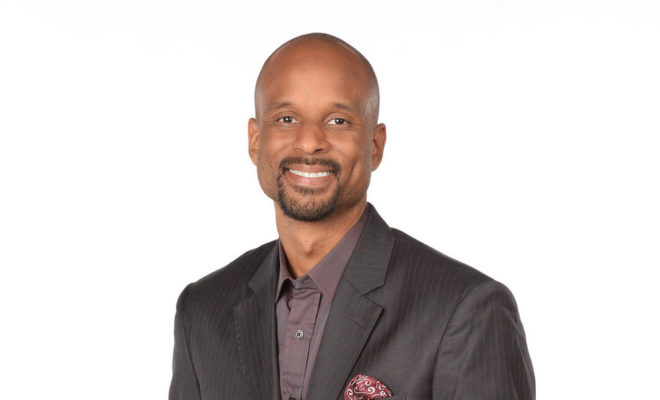 Sometime in the next few weeks, ESPN is expected to premiere an afternoon show featuring Bomani Jones and Pablo Torre — a fascinating pairing: two highly educated, well-spoken individuals who are not afraid to demonstrate their broad knowledge base and expansive vocabulary. They definitely don’t reflect the barstool debate or average joe dialogue that dominated sports talk previously and hopefully will have a chance find their rhythm within the new show. Until then, I suspect that, along with this regular podcast, Bomani and Pablo will continue to pop-up on various ESPN programming such The Dan Le Batard Show with Stugotz and Around the Horn. 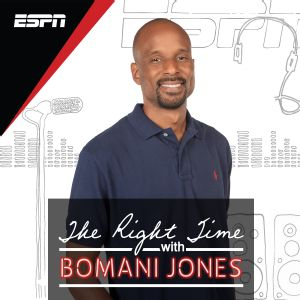 The Right Time with Bomani Jones is available on ESPN.com, iTunes, and other various podcast outlets.